Accident at Work Claims Guide – How Much Compensation Can I Claim? Going to work isn’t always our favourite activity, but it is a necessary part of most people’s lives. We often take for granted our safe work spaces, protective equipment and policy put in place to protect us at work, but there are cases where this protection is not sufficient enough to protect us from injury. If your accident at work was due to someone else’s fault – either another employee or your employer themselves, you may be able to make accident at work claims. Find out more in the guide below. How Much Sick Pay Can I Expect from My Employer? Back Injury at Work, Can I Claim? 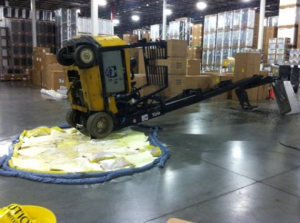 What Can Be Claimed for After an Accident at Work? How much is an accident at work worth in compensation? Why Choose Us as Your Claims Service for Your Accident at Work Claim? Did you know that according to the HSE (Health and Safety Executive) more than 620,000 people in the UK experienced an accident at work between 2015-2016? In fact, The Health and Safety Executive’s data has exposed many professions have experienced a tremendous rate of injuries that have affected all parts of the body including bones, and muscles. Below is the Health and Safety Executive’s report on workplace injury between 2015 and 2016. It is important to note that while some professions have a higher likelihood of workplace related injury than others, every employee is entitled to compensation if they have been injured on the job as a result of their employer’s negligence. 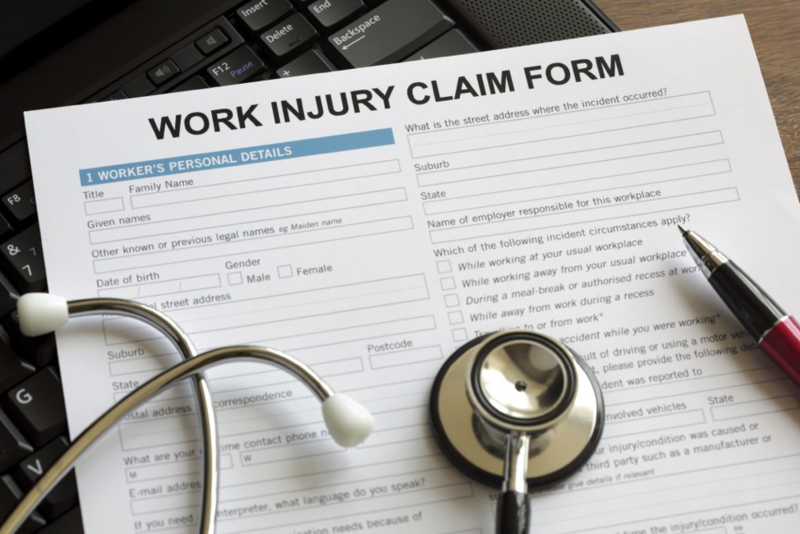 In this article we will be discussing workplace injuries, what you can expect in terms of a workplace injury compensation claim, and the steps needed to ensure the successful resolution of your claim. In basic terms a “work accident claim”, or an “employers liability claim”, can be used to describe any incident where an injury in the workplace has occurred as a result of any type negligence on your employer’s part. This can include any type of action or non-action by your employer that has affected the overall safety of your workplace environment. Legislations have been put in place to not only protect employees from injury in the workplace, but to ensure that the employee can obtain compensation should an injury as a result of employer negligence occurs. In order for you to receive compensation for your workplace accident claim, your solicitor will need to establish that your employer did not take the necessary measures needed to avoid the accident that caused your injury. 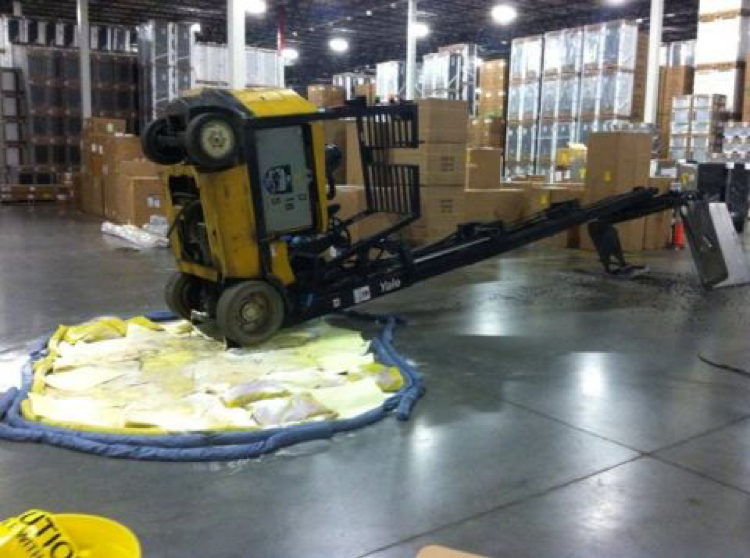 This is why it is so important to document as many of the circumstances surrounding your workplace injury as possible. The more ­­information your solicitor has, the better equipped he/she will be to ensure that your claim is successful. Have you suffered a workplace injury as a result of your employer’s negligence? Reach out to one of our experts today for your free no obligation consultation. Although employers are not legally required to pay full salary as a result of a workplace injury (regardless of whether the injury was caused as a result of employer negligence), they are in most cases, obligated to pay Statutory Sick Pay, which can be paid for up to 28 weeks after the time of the injury. The SST entitlement amount at the time that this article was written works out to £ 87.55 weekly. Employees will need to be off work for a minimum of four consecutive days before SSP can be paid. If your conditions falls under the qualifications of a disability you may be entitled to full pay from your employer. In most cases surrounding workplace injury, the victim will more than likely experience a financial shortfall as a result of lost wages. This is why lost or reduced wages will be included in your workplace injury claim. If it is determined by a doctor that you will never be able to return to work as a result of your injury, your claim will reflect your past and future lost earnings. You may also wish to follow up with the Health and Safety Executive (HSE) to ensure that your employer has reported the accident to them. Although you have up to 3 years after the time of the accident to make a workplace injury claim, it is always in your best interest to begin the claim process as soon as possible. If you have recently been injured at work and need to start an accident at work claim, you are encouraged to contact one of our experts for a consultation, free of charge. If you have suffered from a back injury as a result of your employer’s negligence and need to start a back injury at work claim you can call one of our team for more advice. General Damages – This can include physical pain and suffering, mental anguish, physical disfigurement or impairment, or decreased quality of life. Loss of Earnings – This can include unpaid sick days (past and future) as a result of the injury, as well as any decrease in earnings while receiving sick pay. Travel Expenses – This can include any travel costs associated with treatment related to your workplace injury such as; flights or trains, petrol costs, etc. Medical Expenses – This can include any out of pocket expense for your workplace injury related treatment such as; physical therapy, physiotherapy, counselling, chiropractors, etc. Care Claims – This refers to anyone who had to serve as your caretaker as a result of your workplace injury that prevented you from handling your basic day to day needs. This claim will be paid to the caretaker themselves. If you have suffered from a workplace related injury and are interested in learning more about what can be included in your claim, our expert advisors are here to help. Be sure to ask about our accident at work no win no fee guarantee. Workplace injury is not limited to just manual labour and construction jobs. In fact, the occurrence of workplace injury and accidents have become a common event across each and every occupational sector. While it is difficult to pinpoint any one workplace related injury to a specific occupation. We do know that between 2015-2016 there were an estimated 621,000 non-fatal workplace related injuries in the workforce that equated to nearly 5 million lost working days. Sadly, 144 of the injuries involved in this estimate resulted in death. The list of injuries that can be suffered in the workplace is virtually uncountable, but to serve as a general guide we have compiled 10 of the most common injuries sustained within the workplace, as well as the safety precautions that employers should be taking to ensure the safety of their workforce. Slips, trips, and falls, account for the majority of workplace injury claims – and are often caused a result of employer negligence. In many cases simple and straightforward measures can be taken to avoid a slip, trip, or fall, such as: cleaning up spills as they happen, and ensuring that work areas are kept neat, and free of obstructions. People who work in industries that require regular heavy lifting have an increased risk for muscle strain related injuries. Back and neck strains are often associated with not only repeated lifting, but improper lifting practices as well. Employers can reduce the risk of muscle strain injury related to lifting by providing basic safety training to employees on proper lifting techniques. Being hit by a falling or flying object in the workplace can result in a myriad of injuries ranging from minor cuts and abrasions to more serious injuries like concussion, blindness, or even death. Regular safety checks of work areas could greatly reduce the risk of being hit by a falling object. Repetitive Strain Injury (RSI) has become a more common and recognized workplace injury. RSI can happen over the course of years before it is noticed, and is often caused by tasks that involve repetitive or force activity, or by prolonged poor posture. RSI most commonly affects the upper body, including the neck, shoulder, wrist, elbow, and hands. Employers can reduce the risk of employees suffering from RSI by ensuring that workspaces are as ergonomically correct as possible. Accidents that result in a crash or impact injury are fairly common in a variety of workplace settings. This can involve not only cars and lorries, but smaller vehicles such as forklift trucks – all of which have the potential for severe injury or even death. Your employer is obligated by law to ensure that all safety precautions including seatbelts, and well-maintained vehicles, are in place to safeguard employees. Cuts and lacerations at work can be caused by a number of things in the workplace. Whether you receive a cut from a power saw or a paper trimmer, cuts and lacerations can be a painful, and in some cases debilitating occurrence. Injuries that involve cuts and abrasions can often be avoided by ensuring that proper safety equipment is used when necessary, as well as implementing appropriate workplace safety training. Exposure to hazardous substances in the form of gas, fumes, dust, or vapour can lead to a variety of toxic fume related injury in the workplace. It is the responsibility of the employer to provide employees with all of the necessary safety equipment needed (such as goggles and fitted face masks) whilst working in environments where hazardous substance exposure is possible. Working in a noisy environment can cause permanent and irreparable hearing problems. This can affect not only your ability to work, but your day to life as well. People working in loud environments may not even realize that their hearing is being affected until the damage is already done. Using protective ear equipment when working in loud places can greatly reduce your risk of hearing damage caused by loud noise exposure. We have all had our fair share of clumsy moments. Even seemingly small distractions can cause an embarrassing, or worse, painful situation. What starts as a minor stumble, can lead to part of your body plunging into the corner of an open cabinet drawer. This is why both employers and employees need to be diligent in ensuring that work areas are clean and free of unnecessary hazards. As much as we would like to think that fist fights are limited to children in the school yard, they are sadly a part of the adult workforce as well. Although most physical altercations in the workplace result after months or even years of pent up tension, there have been many incidents of physical assaults occurring in the workplace over a seemingly minor disagreement. Regardless of the root cause of these occurrences, physical altercations in the workplace can result in nasty and in some cases life threatening injuries. Employers can reduce the risk of workplace violence by implementing procedures that allow employees to effectively share any grievances that they may have before a situation becomes overly heated. In ideal cases liability is accepted, and an agreement for compensation is agreed upon. When an employer denies liability, the claim may need to go to court to be resolved. It is important to note that out of court settlements still happen even when the employer does not accept liability – very few cases end up having to go to court. Assessing the severity of your workplace injury is difficult to determine in terms of how this injury may affect you in future. You will more than likely need to have a medical examination to determine the full extent of your injury. This will help to determine not only the severity of your injury, but the best course of treatment needed, and how long these treatments will be needed for. All of this information will be relevant in how much compensation you will receive from your claim. This examination will be provided at no cost to you at a medical center located in your area. When it comes to calculating the amount of compensation you might be awarded for an accident at work, this can vary widely. Below, we have illustrated some typical payouts for accidents at work. However, please note that these amounts are not set in stone. What you receive will depend on the particulars of your specific case and injuries. If you have suffered from a workplace accident, you may feel strange or nervous about making a claim against your employer. This can be particularly daunting if you work for a large organization. If you have been seriously injured as a result of your employer’s negligence (regardless of who your employer is) you are entitled to make a claim for injury. In fact, the law states that you cannot be penalized or punished in anyway by your employer as a result of your claim. Larger companies generally handle workplace accident claims very professionally. Below are some of the top employers in the UK. If you suffered from a workplace accident whilst working for any of aforementioned employers, you will need to speak to one of our experts to determine the best course of action to receive compensation for your claim. When you’ve suffered a workplace related injury, the last thing that you need to worry about is coming up with the funds to start the claim process. This is why we offer our clients our no win no fee accident at work claims guarantee, to make the claims process as stress free as possible. We only get paid if you get paid! Have you suffered from an injury in the workplace as a result of employer negligence? Our team of knowledgeable experts can counsel you on how to get the best possible compensation for your claim and refer you to a variety of experienced workplace injury law solicitors. Call us today 0800 073 8801 for your free consultation. Our team of experts are made up of highly experienced and dedicated individuals who are passionate about helping our clients to receive the compensation that they deserve for their injury claim. From the second you connect with one of our experts, you will feel confident that your claim is being handled by the best team possible. Our only goal is ensuring that your claim ends in the maximum compensation allowed for your injury. Our dedicated team of experts are ready and able to help you get started on your workplace accident claim. Call us today at 0800 073 8801 for a free no obligation consultation. In most workplace accident claims, it is in the employer’s best interest to settle with the employee who suffered the injury. This link provides information on employer tax reporting and other legal obligations surrounding workplace accident claims. Do you have additional questions regarding SSP (Statutory Sick Pay), or what steps should be taken after the occurrence of a workplace accident? Click the link above for some helpful insight. The government has implemented several health and safety at work practices to protect employees from workplace related accidents. The article below provides general health and safety in the workplace guidelines.